An heiress uses a photographer as an alibi when she is accused of a murder she didn't commit. An heiress uses a photographer as an alibi when she is accused of a murder she didn't commit. This is a lively and extremely amusing romantic mystery film, with an excellent script by Michael L. Simmons (about whom nothing seems to be known but his credits), full of countless superb witticisms. Everybody obviously had a lot of fun making this, the energy level is high, and you can hear the champagne bubbles in the background. Despite the title, the fact that there has been a murder is of only incidental significance. This is basically a boy-meets-spoilt-rich-girl-spats-quarrels-makes-her-behave film fading out on a lingering kiss of true love, with lots of amusement and crazy characters throughout. There is a goofy thicko of a policeman who continually says: 'I hope I am not protruding', which he believes is correct English, and is constantly teased by everyone. Fay Wray is the girl, excellent at pouting, tantrums, love pangs, lingering looks, and the whole caboodle. Richard Arlen Senior is a witty and sporting leading man, driven crazy first by exasperation and later by love (and sometimes they are the same thing). In the background there is a vague 'whodunnit?' but frankly nobody seems to care, as they are too busy having fun. This film has all the froth and fizz of something from the 1920s, probably because the Depression had just ended, and everybody could enjoy themselves for a couple of years before the War in Europe was seen to be inevitable. 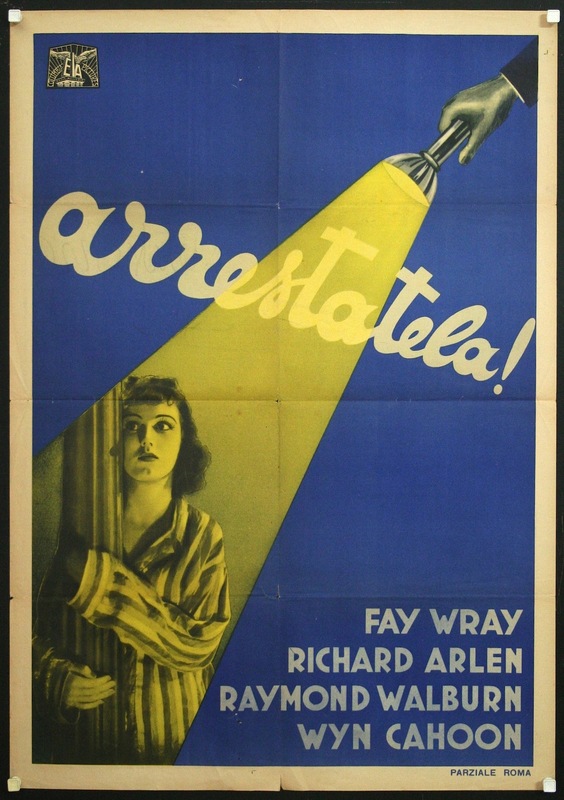 Albert S. Rogell does a good job of directing, as he did with the excellent 'Tight Shoes' (1941) a few years later. The character actor Raymond Walburn does an excellent job as 'the Senator', who was not a senator despite his phoney reminiscences of strolls with president McKinley, in between drinks. Everybody in the film is what used to be called a 'wacky character', and this is a bit of light entertainment with plenty of genuine wit. Fay Wray is an heiress who foolishly poses for a drunken artist. When he falls asleep after trying to take advantage of her she escapes through a sky light. She's seen by a Photographer who brings her into his studio in the same building and they begin a love hate (mostly hate) relationship. When the artist turns up dead, and turns out to be the brother of a notorious gangster, all eyes are focused on Wray who tries to cover herself by saying she's engaged to the photographer. Comedy and murder ensue as everyone tries to figure out who did what to whom. Okay comedy/mystery is heavy on the comedy and less so on the mystery. Its often loud and shrill as the leads do the will they or won't they dance around each other to the extent that the mystery seems to get lost at times. I liked it I didn't love it. To me the problem is that the leads are poorly written coming off more shrill then charming. Not bad, but not something I really need visit again. Worth a shot, if only to see the under appreciated Wray in a "romantic comedy"